Nuclear Power Corporation of India Limited has issued applications on many posts, including steno, assistant, nurse. The number of vacancies in this recruitment process is 59. 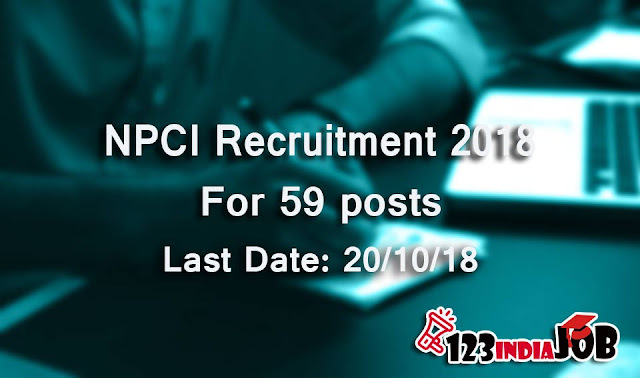 Candidates who want to apply for these posts should first download the notification from the official website and read the instructions so that there is no difficulty in filling the application. The process of application is online. Please try to fill your application before the candidate's due date. Interested candidates can apply online for joining this recruitment process. To apply, go to the official website of the institute and complete the process. The last date for filling the application is 20th October 2018. The link to fill the application will be available on September 25, 2018. Interested and qualified candidates should download the official notification before applying. Fill out your application on the basis of the information given in the notification. Stay connected with 123indiajob.com to get government job related information.